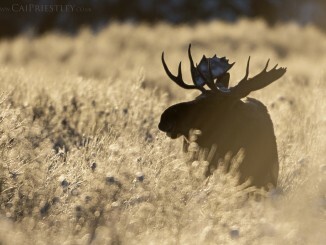 Half an hour east of Edmonton is the natural oasis known as Elk Island National Park. This 194-square-kilometre national park is an important refuge for wildlife and birds, but its most famous residents are the bison. 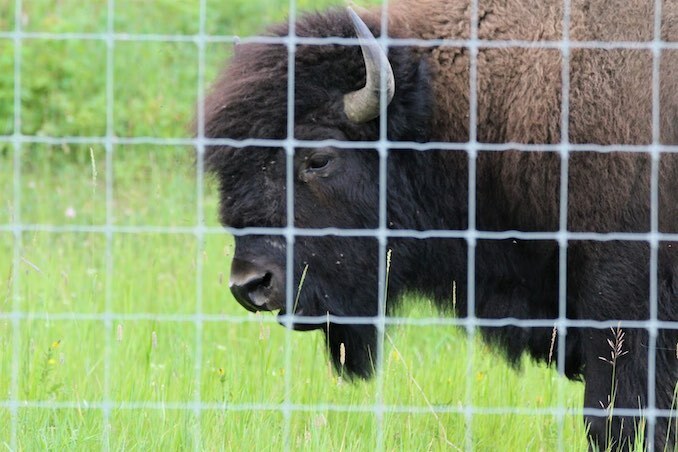 Bison are North America’s largest terrestrial mammals and two separate species, Wood Bison and Plains Bison, call the park home. 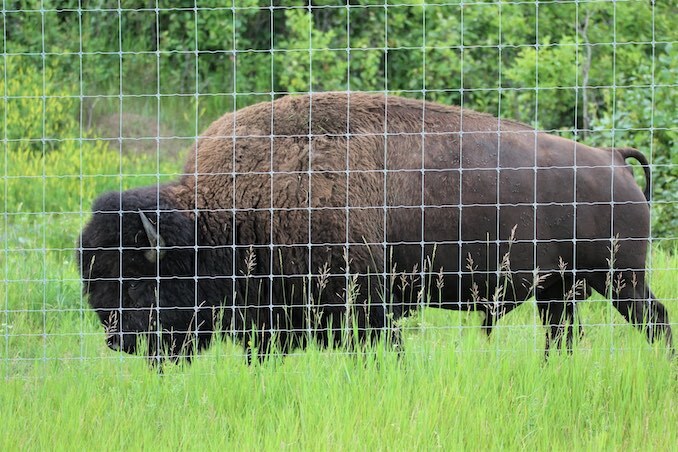 Elk Island is Canada’s only fully fenced national park and the two species are kept in separate enclosures to ensure they don’t interbreed. The park is bisected by Highway 16, dividing the park into two areas. Wood Bison are larger than Plains Bison and can be found on the south side of the highway. The northern portion of the park is bigger and is home to the Plains variety. Even though the park is completely fenced, the animals are free to roam within its confines, so spotting them can be difficult. 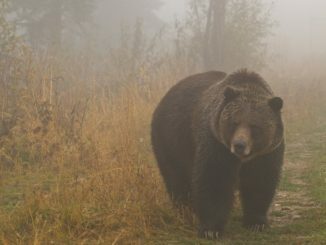 Searching out and photographing these creatures was the reason I ventured to the park on an overcast, rainy day and my first stop was the Bison Loop Road, which is supposed to be a hot spot for viewing the park’s burliest inhabitants. 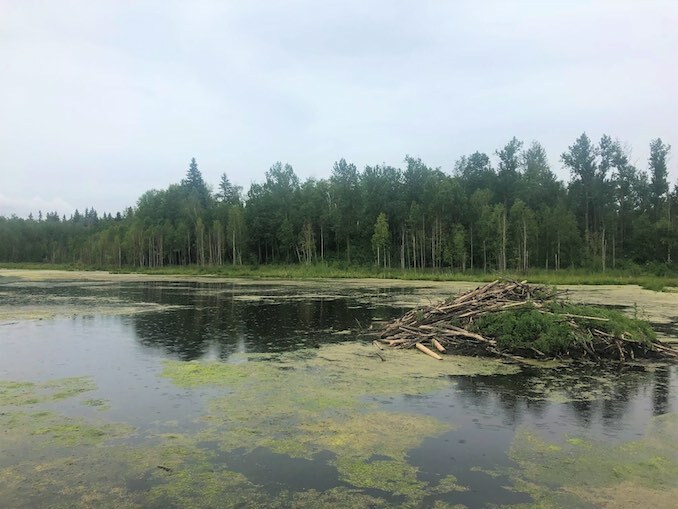 After completing the Amisk Wuche Trail, and again not seeing any bison, I made my way down to the Astotin Lake Area, which could be considered the hub of Elk Island. 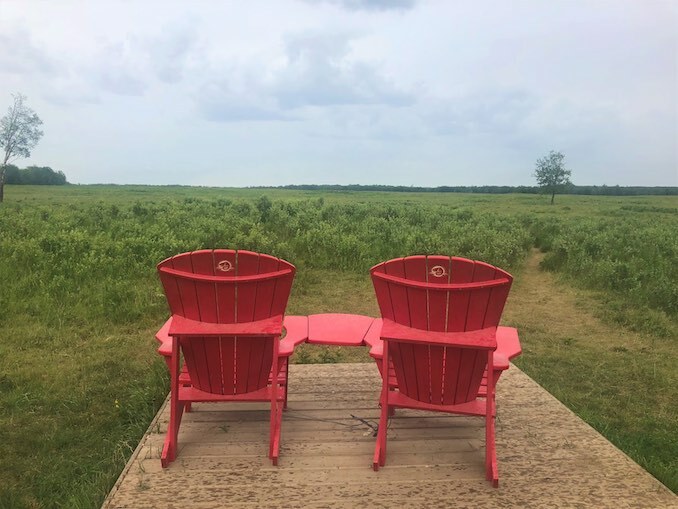 The area includes a visitor centre, beaches, a golf course, campground, boat launch, and more. It’s also home to several trailheads, including the one for my next hike; Lakeview Trail. 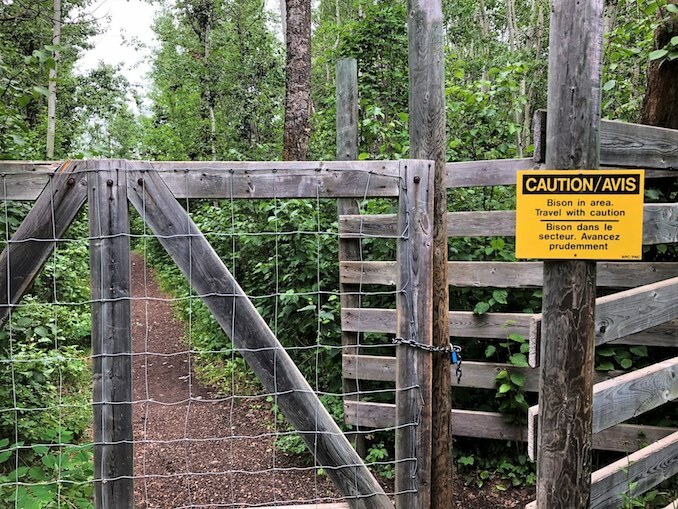 This trail features panoramic views overlooking Astotin Lake and traverses through both Aspen and Black Spruce forest. 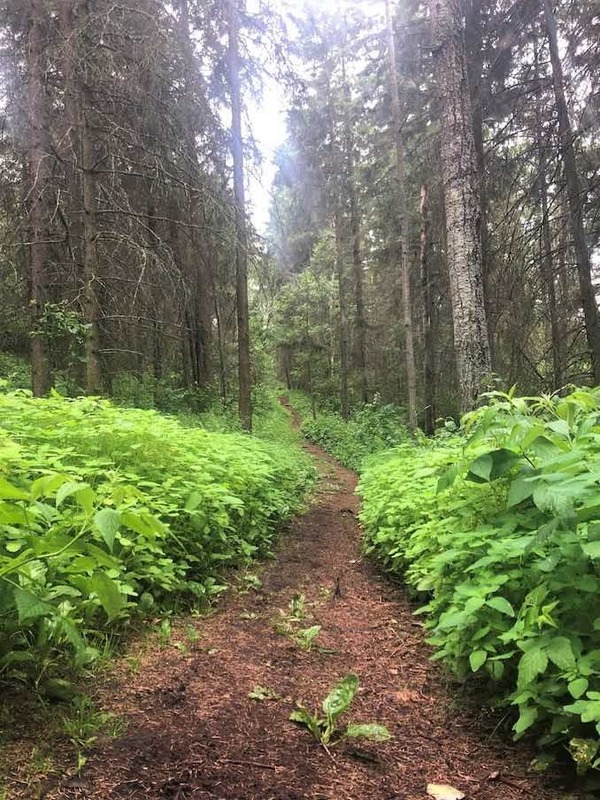 The trail is considered easy with limited steep sections and a distance of 3.7km. As I was hiking along the Lakeview Trail I came around a corner and was hit with the unmistakable smell of bovine. Bison smell an awful lot like cattle, so I instantly became very aware of my surroundings as I didn’t want to surprise any wildlife. 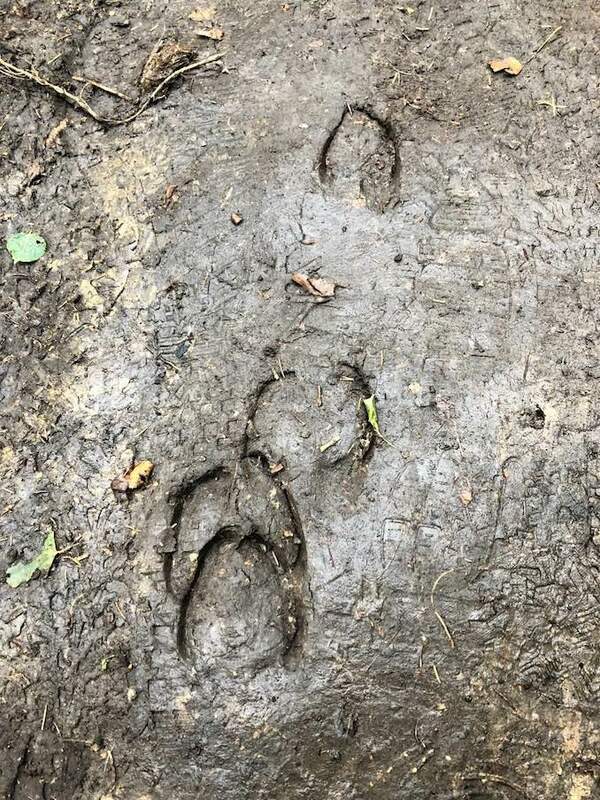 I didn’t end up seeing anything, but the tall grass beside the trail was trampled down, possibly the site of a bed, and there were tracks along this muddy section of trail, which look a lot like bison tracks. 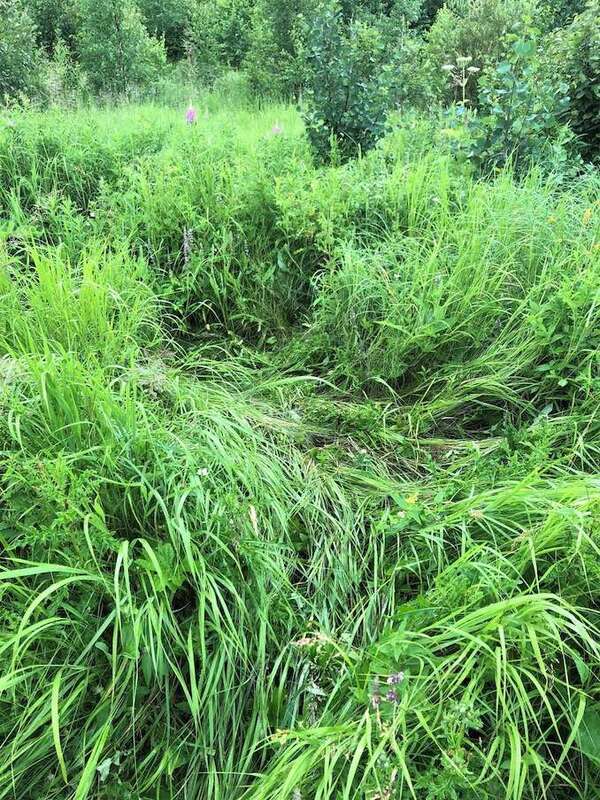 Take a look at the following photos and see for yourself. What do you think? After hiking two trails in soggy weather I was wet and cold. I decided to put my quest for bison on hold and return at a later date to continue my search. I feel like my brief visit was a great introduction to the park, but I also barely scratched the surface of its full potential. I hope to return someday soon and do a lot more exploring. 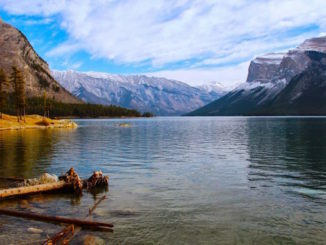 I would love to hike one of the longer trails, such as Tawayik Lake Trail or Wood Bison Trail, or spend some time paddling on the lakes, to get the full experience of what this park truly has to offer. Elk Island is also part of the Beaver Hills Dark Sky Preserve, which provides some of the best stargazing in central Alberta. 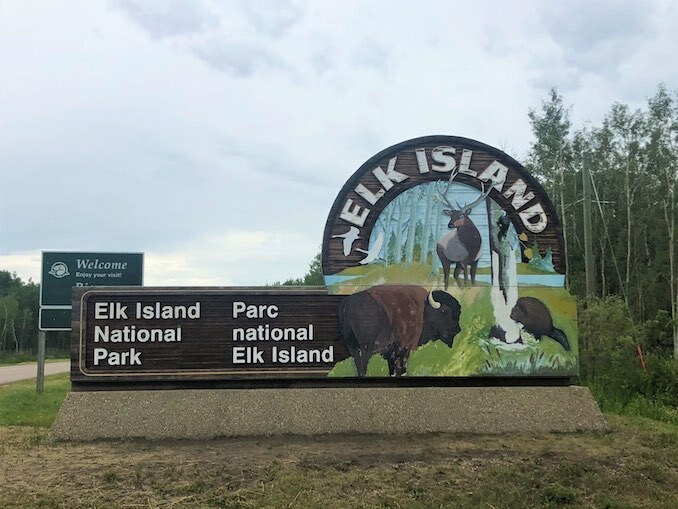 As I was leaving I couldn’t help but feel a little disappointed that I didn’t see any of the park’s famous wildlife, but Elk Island still had one last surprise for me. After exiting the park I spotted three large bulls grazing just inside the fence. It wasn’t exactly what I was hoping for in terms of photos, but still very cool seeing them in their traditional territory. 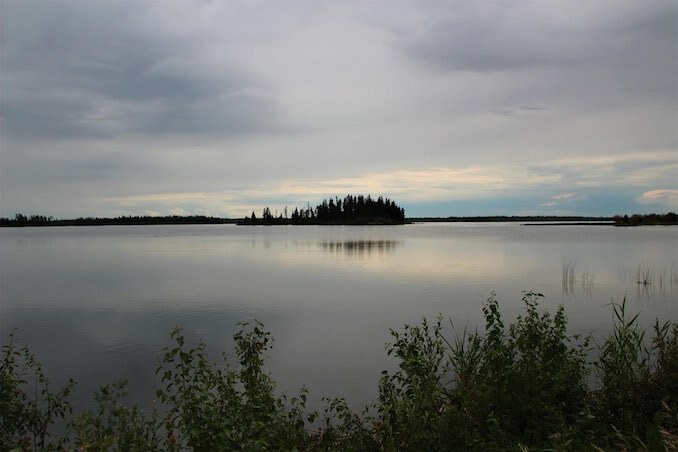 Make sure you stay connected with everything Elk Island by following them on Twitter. You can also find Parks Canada on Twitter, Facebook, and Instagram. Did you know the bison that were reintroduced to Banff National Park in 2017 were originally from Elk Island National Park? It’s true, and you can read all about that historic homecoming in my previous story.